Carmen Judith offers a FREE first / introductory lesson! Judith gained her teaching diploma from the Royal Academy of Music in 2011. She graduated with a BMus with Honours degree and a Masters of Arts degree from the Royal College of Music and the Royal Academy of Music respectively. As a violin teacher, she has over 10 years of teaching experience. She has taught in best schools in London including Eaton House and Prospect House. 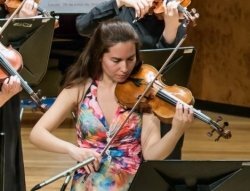 Her students have achieved distinction marks in the exams, successful music scholarships and entries to Menuhin and Cheethams schools. 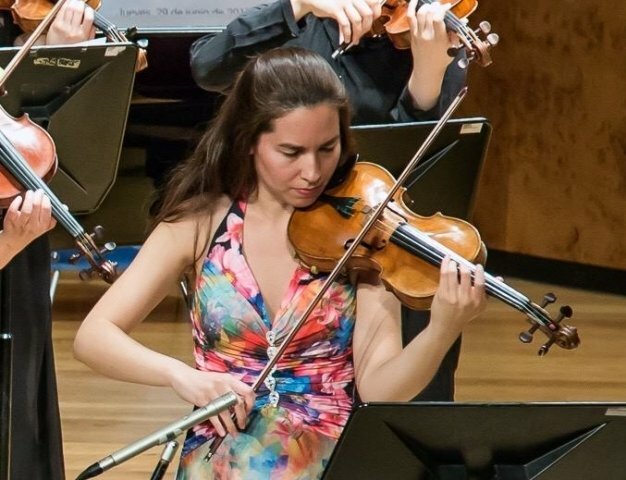 As a soloist and chamber musician, Judith has played in most important venues in the UK including St. Martin in the Fields, Fairfield Halls, Hannover Square, Fitz William Museum in Cambridge, the National Gallery as part of the Belle Shenkman Music Program, Royal Opera House in Covent Garden and Cadogan Hall. Outside the UK, She has also played chamber music concerts in Festivals in Japan, South Korea, Germany, Italy, France, Portugal, Sweden and Spain. As an orchestral player, She works regularly with Aurora, London Sinfonietta, Royal Philharmonic and London Philharmonic Orchestra. All my students enjoy their lessons and they all get very high results.